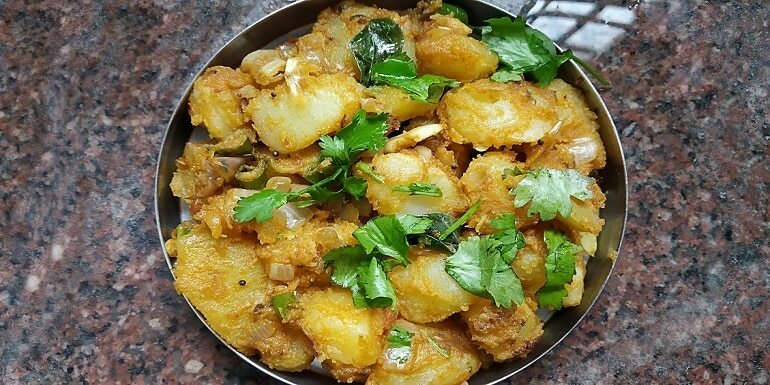 Boiled Potato Fry Recipe is yummy and musky traditional South Indian recipe. Potato is an evergreen vegetable for everyone in the realm. Nobody says no for this giant vegetable. 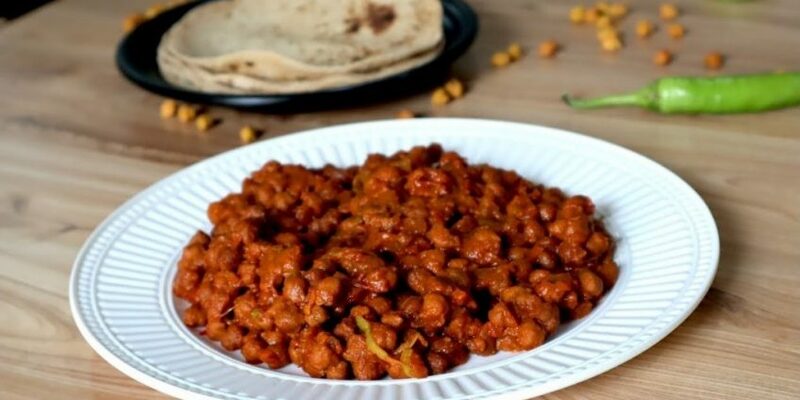 It is also known as Bangaladumpa Vepudu in Andhra. The recipe is almost the same. We can prepare lots of varieties with this simple root. 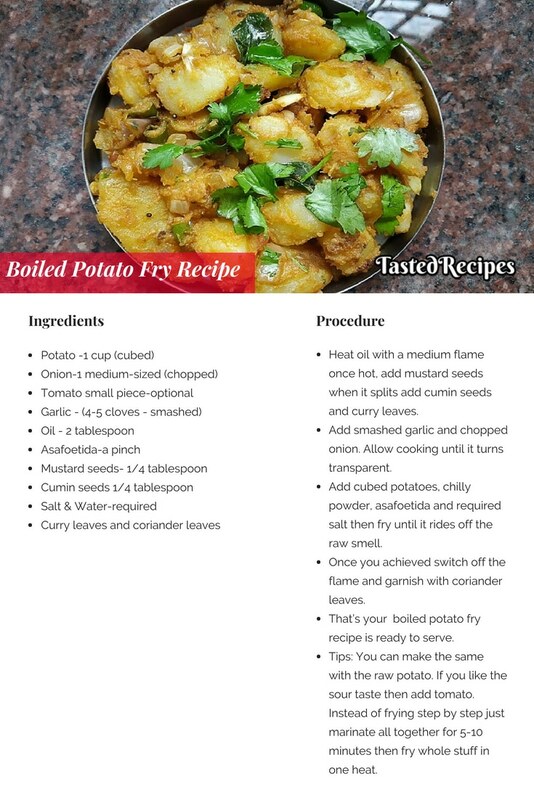 Here I am presenting you this Boiled Potato Fry recipe with Indian masala. Heat oil with a medium flame once hot, add mustard seeds when it splits add cumin seeds and curry leaves. Add smashed garlic and chopped onion. Allow cooking until it turns transparent. 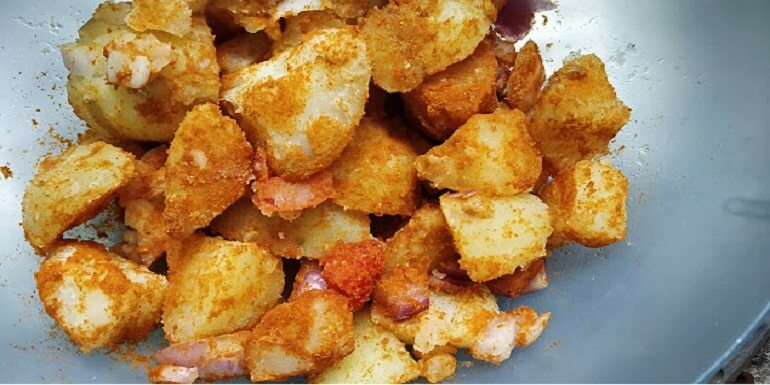 Add cubed potatoes, chilly powder, asafoetida and required salt then fry until it rides off the raw smell. 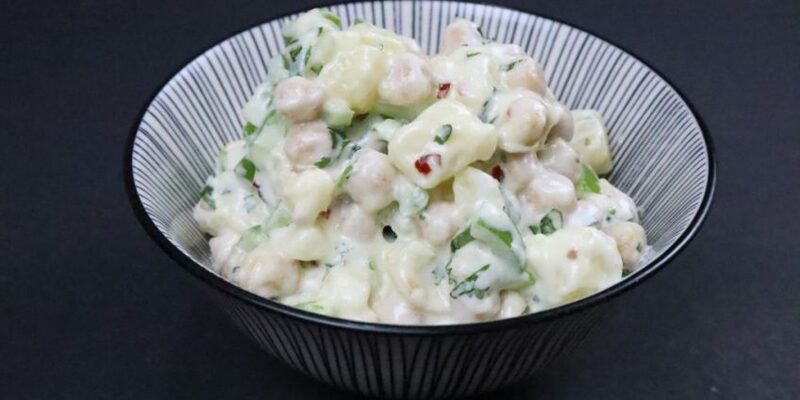 Once you achieved switch off the flame and garnish with coriander leaves. That’s your yummy boiled potato fry recipe is ready to serve. 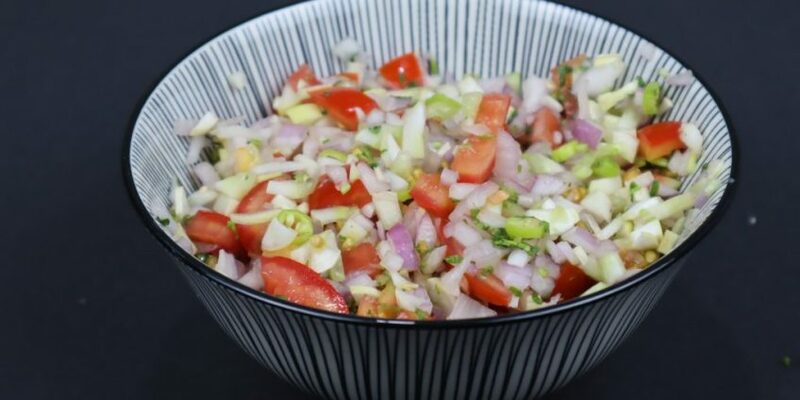 It will make a good combination with curd rice, Rasam rice and plain rice with ghee. Tips: You can make the same with the raw potato. If you like the sour taste then add tomato. 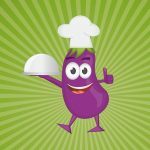 Instead of frying step by step just marinate all together for 5-10 minutes then fry whole stuff in one heat.